Sweet Sewn Stitches: Freebie for the TEACHERS! My youngest sister, Kristen graduated this past May and just got her first TEACHING job! She asked me to help make a few fun printables for her classroom. She is excited to add her own personal touch while encouraging her students! Kudos to all the hard-working teachers!! Hi Alyssa! I"m Amee :)..and yes I do love my smilies! :) <see! Those are sweet! I might use them in my dayhome! Found you at Just A Girl..I am not a teacher but a mom and this would be great for organizing! My name is Jacque. I'm stopping by from "Under the Table and Dreaming". I have got to say that this printable is AWESOME! I used to teach pre-school and childcare... 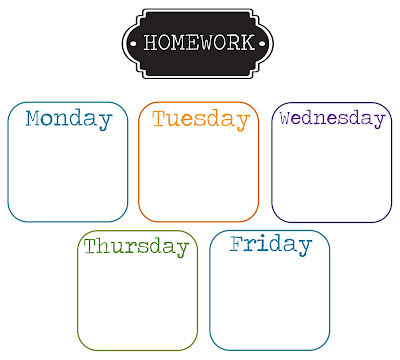 I wish I had something like this earlier to help me better organize my teaching week! I will definitely have to download this for when I get back to work! So glad these are helpful! Stay tuned for more classroom/educational art! Cute! I think I'll actaully be using this for work. It will be nice to have a cute printable to keep up with Co-workers birthdays. Thanks for sharing. Love these! I'm not a teacher, but I've needed to redo my list of family birthdays. This is perfect! Thanks! Love! Love! Love! My sister is a teacher, so I will be sending this link to her. Very cute birthday chart. I teach preschool out of my home and I am going to print off to hang. Thanks! This is great! Thank you go sharing! 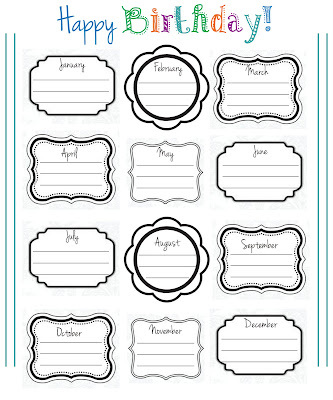 It is also a great way to keep track of family member's birthdays! Lovely printables! Thanks for sharing them at BC Good Life Wednesdays. We featured you this weekend :) Can't wait to see whatcha link up! great printable for teachers! thanks for sharing this with us! have a lovely weekend! They are both so sweet! That is just awesome of you to share them! Thank you so much for linking up to It's a Party! I have several uses for these in my classroom. Thanks for sharing! You might try adding a video or a related pic or two to get readers interested about what you've written. Just my opinion, it would make your blog a little livelier. here, really like what you're saying and the way in which in which you assert it. You make it enjoyable and you continue to take care of to keep it smart. I can not wait to learn far more from you. This is actually a wonderful web site. Hi! I love, love, love your prints! I'm going to use them in my new classroom. I was wondering if you have the "TEACHER" one, also? I'd love to print that one, as well. Hi, again. I needed to leave my name and contact. Sorry.